I always find trends fascinating becuase after all, they are a reflection of who we are as a collective. Name trends are no exception to this. I am sure you have noticed that at one time there were a lot of Taylor’s, Tyler’s, Tamlyn’s, Tielay’es …and many more versions I cannot remember now. Britney (in many different spellings) went through a phase, and Kristen and Kirsten, Brett and Brent’s too. It is definitely interesting. Currently the number one criterion in choosing a name is its uniqueness and by all of us choosing by that, it is hard to find true uniqueness. According to Edward Callary, editor of Names, the journal of the American Name Society, name trends tends to come in 30-year-cycles. ‘A name will come on strong,’ he says, ‘then when that first Courtney becomes an adult, we decide it’s an adult’s name and stop giving it to babies’. Then once the original owners are gone, their names regain popularity – which is why there has been a sudden resurgence of Hannah’s, Jacob’s and Max’s. Put another way, Barbara, Karen and Susan are currently the names of middle-ages women…. but its not unthinkable that today’s Britney will name her daughter Susan. There are, of course, fad names, and they change often. A fad name almost always becomes trendy because some famous person has it. 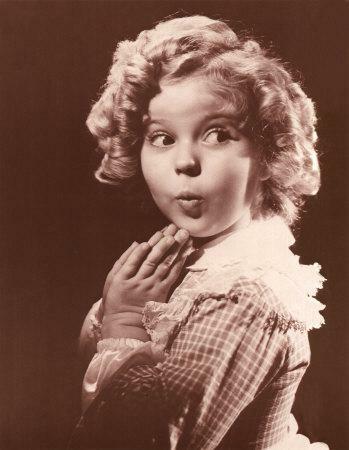 For example, Shirley Temple was at the height of her childhood career in the late ’30s (hence, a lot of 60-year old women called Shirley). There are many examples and I am sure if you think for just 5 seconds you can name a handful of friends. It is hard to write this post without mentioning some names that make me smile most days. In South Africa English is not the first language of a great portion of the population (we have 11 official languages). At the time when English was being taught to those, names of words started popping up. For example, ‘Precious’ (the lady at the till), ‘Happy’ (a friend’s gardener), ‘Memory’ (our char) and ‘Gift’ (our gardener), and then there are a few delightful ones like ‘Professor’ (who works at the garden center) and ‘Doctor’ (who became a local soccer hero). I think this stems from the times when children were named after virtues and this was just a natural continuance of that. Pye on the windowsill soaking up the maximum amount of sun. You cannot win either way I think, so just choose a name you like when naming your child and go for it. For crying out loud I am one to talk becuase it took me 6 months to finally settle on a name for our poor kitten. It went from Cloey to Daisy and finally to Pye. Let’s hope this sticks (and lucky for us she is not a child becuase if she were, there would be serious identitiy problems). This entry was posted in Blog and tagged african names, edward callary, english, fad, fashion names, Name, name cycles, name trends, naming children, special names, Trends, unique names. If you find Name Trends interesting, you should read the last chapter of Freakonomics (and the rest of the book is good too!) Fascinating stuff. My mom gave me my english name, Megan, thinking she didn’t know of any other Megans! Then, my first year of high school, in my PE class there was five other Megans! Jeff has finally broken away at me wanting to name any first son we could have Stephen. Jeff’s choice, Sig, is actually really growing on me. I guess I can let him have that, since there’s no way he can change my mind about Adelaid Amelia for a daughter. I find names trends always interesting.I gave my kids their names because I like it. Anne (dutch – hebrew name) is always in the top ten lists of names for children since many years.Nathalie is a nice french name. Steffi is an old greek name and short for Stephanie. But I am just Steffi.